Available in a variety of print colors, the kit includes one (1) 1/2"x150' roll that will easily apply to any clean painted surface. 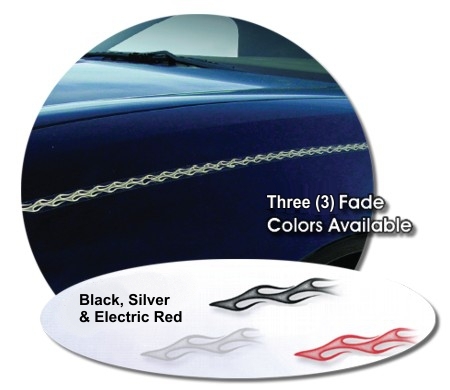 More than enough striping is provided for an installation on any car, truck or motorcycle. Diablo pattern is easily repeatable for a continuous application. Includes easy-to-follow general online installation and care guide.